The Nikon D610 has been out for a few years now. It replaced the troubled D600, and as of today, there are no rumors about a replacement for the D610. That’s just as well, as the Nikon D610 is a great full frame DSLR at an affordable price point. The D610 shoots clear images within the native ISO range. It works well in both bright light and low light conditions. It is an affordable full frame, which means the AF system isn’t quite as high as some other full frame offerings and the shutter speed is a bit disappointing. In terms of construction, the D610 is sturdy and weather sealed, making it a good choice for outdoorsy types who encounter the elements. It is comfortable and the control layout is intuitive and good for fast adjustments. It has great color depth and a fair dynamic range. The number one most appealing thing about the D610 is the price. This is one of the most affordable options for photographers who want to get into a full frame DSLR without paying a lot. Many of the features of the D610 match full frame DSLRs that are quite a bit more. There isn’t too much to even miss. The only drawbacks to the D610 are a bit nit-picky but worth noting. There could be more customization options, particularly on the ‘OK’ button. Compared to competitors, the AF coverage is a bit small. The AF is slow in live mode. If you can live with those, there aren’t many reasons to consider more expensive full frame models. 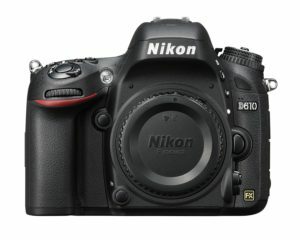 Previous PostShould You Upgrade Your Entry-Level DSLR?